We are so excited to announce the Brighter Spotlight by Brighter Vision. Each month we’re sitting down with a long-time Brighter Vision client to learn a little bit more about them. Everything from the best marketing advice they’ve ever gotten to their favorite past time activities will be covered. This month, we got to interview the amazing Katie Leikam and learn more about her and her bustling private practice in Decatur, GA. Join us for an afternoon with Katie Leikam. We’re so happy to have you, Katie! Can you tell us a little bit about you and your practice? My pleasure! I am an LCSW who lives ITP in Decatur, GA. I came to Atlanta after living, schooling and working in Athens, GA for 12 years. I am married, have a son and four dogs. I enjoy going to places that are locally owned and discovering hidden gems. My specialty in my practice is gender identity and working with the transgender community in downtown Decatur, GA. I became passionate about working with the community over 7 years ago and have enjoyed going to national conferences to become a gender therapist. I see clients three and a half days a week, including a couple of evenings. I became a therapist because I saw a great need in the transgender community for affirming care that use barriers to care as well as a need in rural parts of Georgia, I almost immediately became DCC certified and began offering video counseling in my practice. Katie and one of her dogs, Fiddlestyx. My favorite thing about being a therapist is helping people find solutions to their problems. In sessions, I like that I can present different perspectives to clients that they may not have thought of before and learn about themselves. What do you like to do in your free time when you’re not working? In my free time, I travel and go to concerts with my husband, soon we are going to Los Angeles to see Glen Hansard. I also enjoy going to local stand up comedy shows with Atlanta comics and dining out. Katie and her husband at a Modest Mouse concert last Fall. When did you become a Brighter Vision client? I became a Brighter Vision client in June of 2017. What was your reasoning for joining the Brighter Vision family? I needed an overhaul of my website and the DIY websites I had tried weren’t as high quality. I really needed to walk away from the design of my website and let a professional complete it. I had enough to do with starting my practice so that weight off my shoulders was a huge help. What were you using before you had a Brighter Vision website to attain clients? I was using Yola as my website builder. How did your process of attaining and attracting clients change after your Brighter Vision website? I think my clients felt more confident reaching out to me, and there was more interest in my website almost immediately. I was able to integrate online scheduling to my website and could have a blog finally, so all of those things helped with attaining and attracting clients. What was your favorite part about getting your new website? My favorite part was now having a blog. Blogging was definitely something I really wanted to do since I have been a creative writer since I was 13. I love the ease of sitting down and writing and publishing a blog with my Brighter Vision site. The blog page on Katie’s Brighter Vision website. 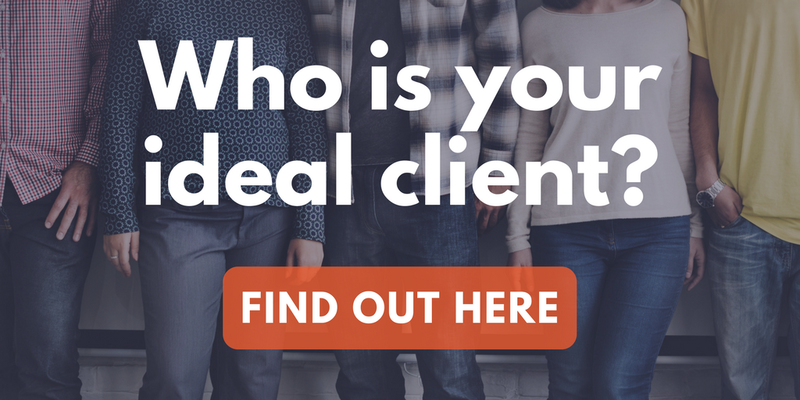 What sort of marketing efforts do you utilize in your private practice? I use word of mouth, networking, my website, SEO, social media and Psychology Today. All of these avenues link back to my webpage. Those sound like great avenues for marketing. How do you keep organized in your private practice? I have an assistant that makes amazing spreadsheets and assists in bringing my formulated ideas into reality. On a daily basis, I just keep a simple to do list in my phone and use the SimplePractice app for all scheduling. Katie’s office in Decatur, GA.
What other platforms do you use in your private practice to stay afloat? I use SimplePractice, Quickbooks, and You Need a Budget. What have you found to be the most important piece of advice someone has given you about being a private practice owner? The most important piece of advice I have been given is to be authentic in everything I do. In the beginning, I was really focused on making sure people knew all about me and what I did. Now, I am really focused on learning about others and growing authentic connections with other providers. How do you make time for self-care with your busy schedule? I only see clients three and a half days a week and I make time with my husband and son a priority. I also regularly schedule travel. So, I may not take a whole traditional day off, but I definitely carve out time for fun. Do you have any pieces of advice for someone that is just starting out on their private practice journey? My advice is to use your available resources to learn and at some point, you just have to do it. You just have to go for it. Thank you for taking the time to speak with us today, Katie! We truly appreciate you being our FIRST ever Brighter Spotlight interview. Well, there you have our first ever Brighter Spotlight, with our guest Katie Leikam. Katie has been a Brighter Vision client for almost a year and it’s so amazing to hear her private practice journey directly from her! Katie mentioned her referrals went up after getting a Brighter Vision website and that one of her best pieces of her marketing strategy was her website itself! We want you to have as much success as Katie does. That’s why we are running our biggest sale of the year! Sara works as the Director of Business Development at Brighter Vision.